It was the first evening of our intensive seminar at the Mas de Mestre and we visited this well-known Milonga. It‘s been running for ages and although it is a little less frequented in summer, it is still a nice place to be. Traditional music, some good dancers, lots of friends. We know most Tangueros in the region as we‘ve been visiting for more than 7 years. Unfortunately, you‘ll always find a couple of rowdies on the dance floors and this evening, one guy was standing out: He was doing huge, uncontrolled movements, pulling the women onto the dancefloor, out of axis and into absurd poses. He was a threat to everyone else. You think I‘m exaggerating? Oh no! One of our students made the mistake of accepting his invitation. She had not noticed him earlier. I wonder why... She suffered for two Tangos, trying to slow him down a little, but then gave it up and finished the Tanda prematurely. Well done! The guy tried to invite some other ladies of our group (including me) but had no success and continued pulling locals onto the dance floor. Then an accident happened: the host decided to announce our Milonga, the bully got interested and asked Detlef to give him the address. Which Detlef did out of reflex. I think, he had not seen the guy dancing either. Am I the only one who watches the dancefloor? I learned about the rowdie‘s invitation on the next evening, when he was abusing new victims on another dancefloor. Why would none of these women stand up and refuse his invites? This is when I decided to prevent such misdemeanour at our Milonga. Our Milonga was already on it‘s sweaty course, when Mr. Bully entered the room. Although I was feeling very uncomfortable with it, I decided to nip any bad behaviour in the bud and approached him. 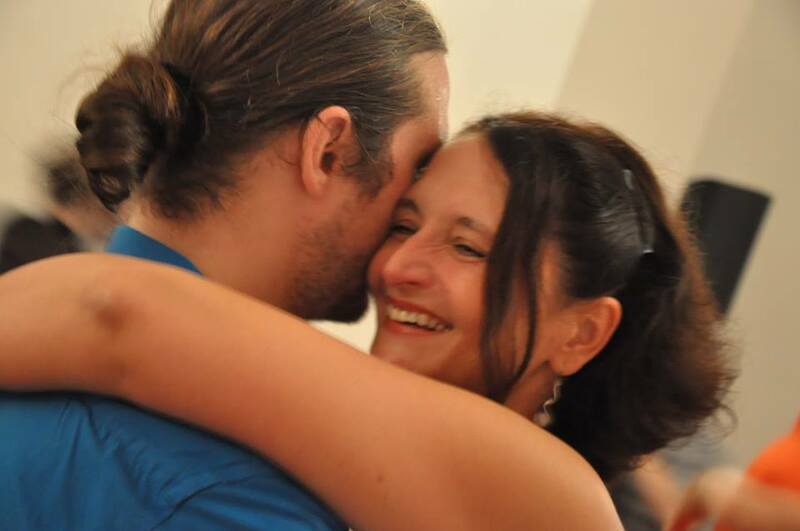 In quite neutral words, I told him that I had watched his dancing during two Milongas and that I would ask him to behave in a more social way at our Milonga, to keep the line of dance, not make such big moves and not invite women by direct invitation but by Cabeceo. He exploded: Who was I to talk to him in such a way? He claimed to be a good dancer who had danced all over the world, knowing how to dance properly in contrast to these other losers. I pointed out that I was - as he well knew - the host and DJ at this Milonga and that it was my responsibility to keep the dancefloor safe for everyone. Especially for the women, whom I had seen suffer a lot with him. He started insulting me, telling me that any child could DJ, that he did not accept my authority and that he would do what he pleased. Never had anyone talked to him in such a way, cried he! So what was I to do now? He was a huge guy and very pissed-off. I could not throw him out of the room on my own and I did not want to disturb our Milonga. So I decided to wait and watch what happened. Well... the guy sat and stared at me with a very angry expression. I tried to keep my calm and greeted all incoming guests and friends, behaving all „normal“. After a while he got up to dance and - behold - he moved only half as dangerously as earlier. Then he sat down again. A little later, Detlef arrived and I told him what had happened. He got really angry about the guys insulting behaviour and asked if he should throw him out. I was undecided because he seemed to be calmer now. Detlef spoke to him nevertheless - repeating basically what I had said, but not throwing him out. Some time later the guy left. So, have we acted out of line in asking this guy to conduct himself more carefully at our Milonga? Should I at least have waited until he actually started dancing and misbehaving? Or was it o.k. to go there in advance as I had watched him dance at other occasions? I had the impression that - however aggressively he reacted - his behaviour changed after our intervention. When Detlef saw him at the next Milonga, he was obviously not dancing. Is this a good thing or not? Have we scared off a poor guy or have we stimulated a process of self-reflection? From what he sad - and I believe his reaction - none of the regional organisers or dance partners had ever given him a negative feedback. I knew that they are complaining about him amongst themselves but never to him. This is very sad. But whose responsibility is it to give feedback when someone misbehaves so badly? The teachers and only in class? Milonga organisers? DJ‘s? Dance partners? Everyone at a Milonga? Who is to judge if someone is just slightly annoying or really disturbing other guests? Do we need more watchers? Do we need a Tango police? Or is Tango about laissez-faire? Just do what you like as long as you don‘t bump into MY personal space? I don‘t know... Apart from stressing floor-craft and appropriate social behaviour in class, I always felt it was my responsibility as a host to keep the dancefloor agreeable for everyone. Similar incidents occurred approximately once a year, but the reprimanded‘s reactions were usually positive: people excused themselves and danced more carefully for the next hours. The French guy‘s aggressive reaction might have been a reaction to my ill-concealed anger as he was such an extreme case. But even he seemed to change after it. Maybe I should be more careful in HOW I approach someone, but I won‘t stop doing it. I cannot. Must be my watcher mentality! Finally it is summer and I‘m in the midst of it, teaching an intensive class in the south of France in an old Mas. For those who don‘t know the term: A Mas is kind of a former hamlet, nowadays usually in the hand of one proprietor who rents out rooms or small apartments. We organize one or two intensive seminars per year in such a Mas, visiting the region near Nîmes and Montpellier. Tonight is the day of our Milonga „avec auberge espagnole“: We invite friends from all over the region, they bring food, I dj and everyone dances happily ever after. In reality it is too hot. It feels like the hottest day of the summer and I have to fight against the strong urge of the dancers to just stay put on the veranda and have a beer. Mr. Di Sarli, D‘Arienzo, Biagi and Canaro help a lot and play their nicest Tangos. But during the first Tango of every Tanda, the dancefloor is almost empty. Everyone runs out to have a cool drink. Then they drag themselves back, chose a partner and dance. And literally stick together. I see them smiling, so they seem to have a good time ... but some of them look quite messy. I‘d really love to dance. Mr. Donato is playing Sin Sabor and my feet tingle. Here is a short overview of events for those who cherish social Tango in a close embrace to traditional Tango music. There are many more in 2013 , but I will only list those, that I have visited personally or that are organized or visited by people, whom I know personally and who can vouch for the genuine "milongueroness" of an event. As we (Detlef and I) decided to do less weekends of workshops next year, we hope to visit all - or at least many - of them. See you! Shoot me, but I have to open Pandora‘s box again. Remember the discussion that evolved around the definition of Tango (de) Salón: For me, it is a generic term describing social Tango in contrast to Tango Escenario. For others, it is one particular style compared to Tango Milonguero, Apilado, del Centro, Orillero and many more. This style defines itself by its elegant walk, intricate decorations, complex turns in open embrace and a very distinct musical interpretation. It is mostly danced in the Milongas outside the city centre and nowadays all over Europe. The name „Villa Urquiza“ keeps popping up, but that‘s not the only barrio where they dance like this. As I was lying in bed and remembering another reference to this topic, a couple of questions formed in my mind. Why have I not asked them earlier? ... why does the city of Buenos Aires organise a championship in which couples from all over the world compete in two categories: Tango Salón and Tango Escenario? Is it not a tad discriminating to chose one style as the antagonist of Tango Escenario and exclude all other styles in this worldwide celebration of Tango? Why was there no uproar in the Tango community of Buenos Aires, especially from the „Milongueros“ of the centre? ... how come they hold the Campeonato Metropolitano in different Milongas all over the city, also in the city centre, where many people dance in an unbroken close embrace? Why don‘t they exclude Milongas like, say, Club Gricel? ... how come Cherie Magnus, my dear blogger-colleague and her partner Ruben made it to the finals of the IV Campeonato Metropolitano? They do not dance „Villa Urquiza“ style. ... how come a couple like Osvaldo and Coca won the Campeonato Mundial in the Salón category in 2004? They certainly do not dance in the way described above. ... what is - according to the representatives of this style - the Argentine generic term for social Tango in contrast to Tango Escenario and why did the organisers of the Campeonato Mundial not chose this expression? Ok. These are my questions. If anyone can answer all of them in a satisfactory and logical manner, I will never again contradict your opinion.